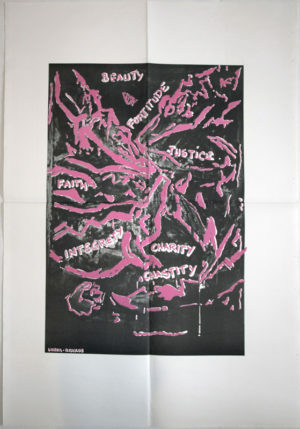 In the 1970s and 80s much of downtown New York lay in decay but amidst the economic squalor a surprising art renaissance emerged along the district’s streets and walls. 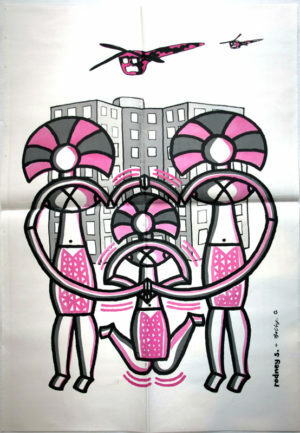 Most people remember the graffiti from that period but of equal interest was the profusion of street posters. 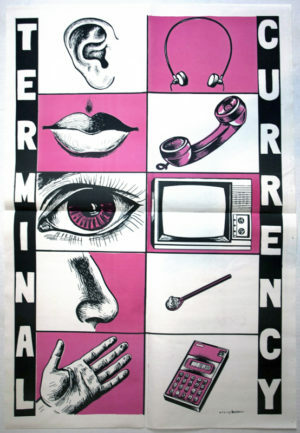 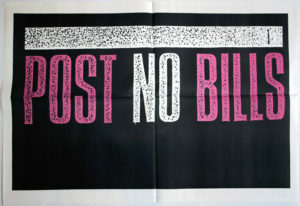 This was the era when Xerox flyers advertised punk bands and nightclub events; the years of political posters created by the Guerrilla Girls, Group Material and PADD; and the time when Jenny Holzer successfully jump-started her art career by posting her “Truisms” on lampposts and walls. 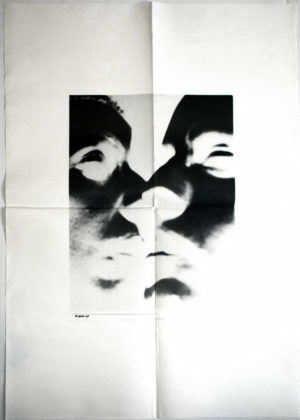 Talk is Cheap, a short-lived 1984 street poster exhibition comprising 27 collaborative posters by 47 artists is a unique manifestation of this epoch. 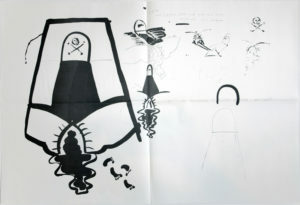 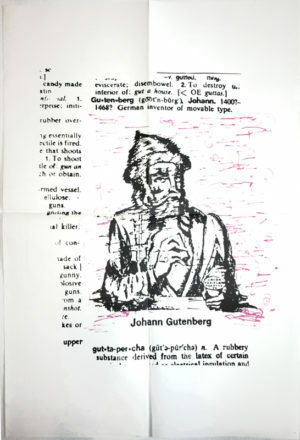 The project done under the auspices of the artist group Collaborative Projects Inc. (COLAB) was organized by John Hogan, the founder of the Chicago artist-bookstore Bookspace and later a supervisor for Sol LeWitt wall-drawing installations. 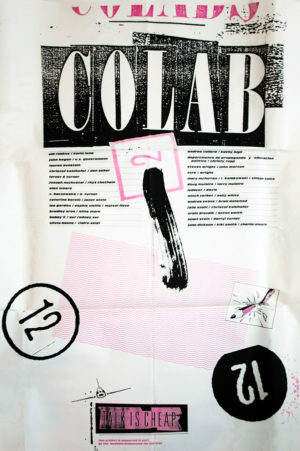 COLAB projects were voted on in open meetings and usually adhered to what one-time president Walter Robinson called “Rule C: collaborative, collective, cooperative, communal projects only.” The C-word “cheap” was another COLAB principle, and part of the appeal of Talk is Cheap was the frugal way it adopted the paper size and two color offset process used by a printer who specialized in Chinese language newspapers. 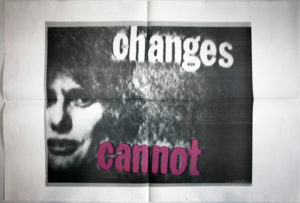 The other cost was hiring a professional postering service to hang the posters around the city. 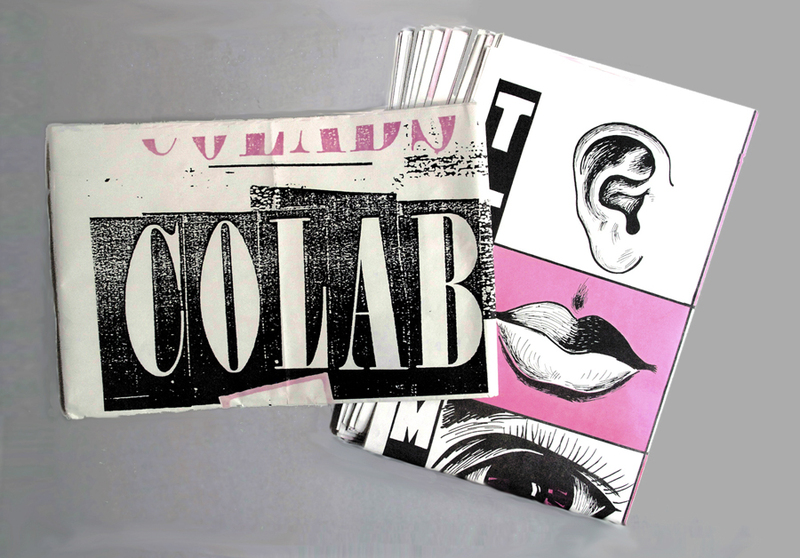 Talk is Cheap was open to all COLAB members who created their own collaborative teams sometimes adding artists from outside the group. 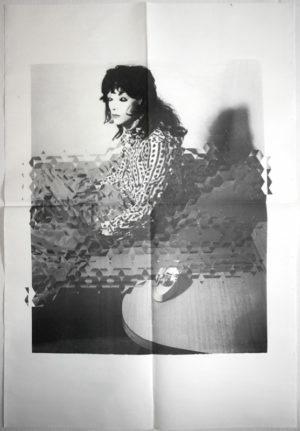 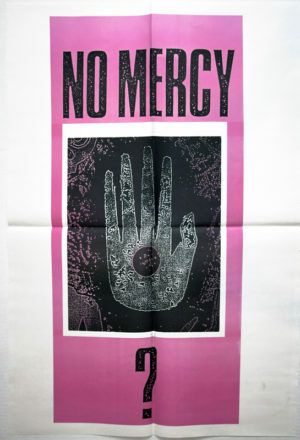 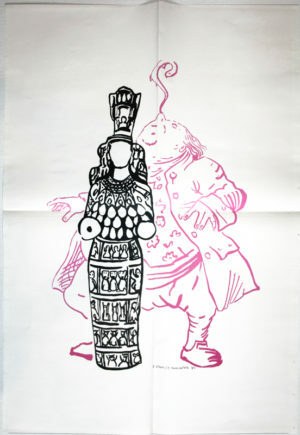 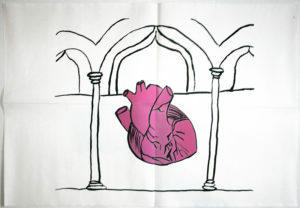 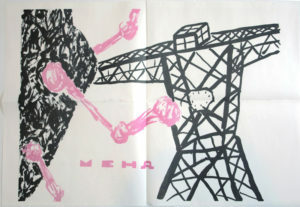 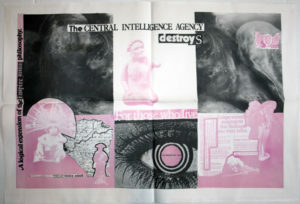 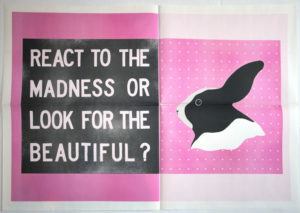 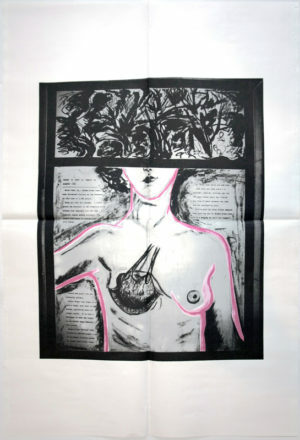 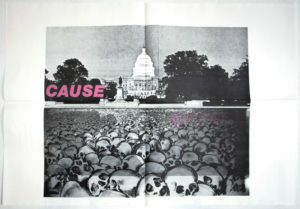 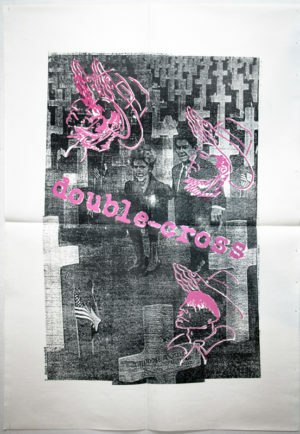 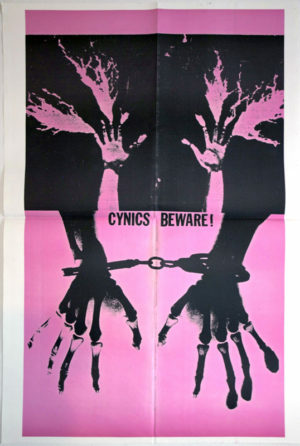 The fact that it was a street exhibition inspired some artists like Hogan, Kiki Smith, Jane Dickson, Charlie Ahearn, Christy Rupp, Lauren Sunstein, Christof Kohlhofer and Dan Asher to make posters directly connected to the politics of the day. 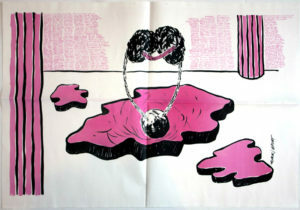 Others like Alan Moore, Seton Smith, Olivia Beens, John Morton, Andrea Callard, Jolie Stahl, Mitch Corber, Bobby G, Joseph Nechvatal, Rhys Chatham, Bradley Eros, Aline Mare, and Janet Stein created works that largely conformed to their customary art concerns. 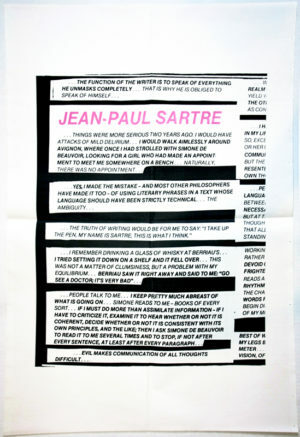 As a street exhibition Talk is Cheap seems to have made little impression as most of the posters were covered up in a matter of days. 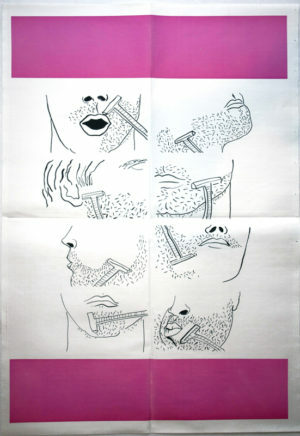 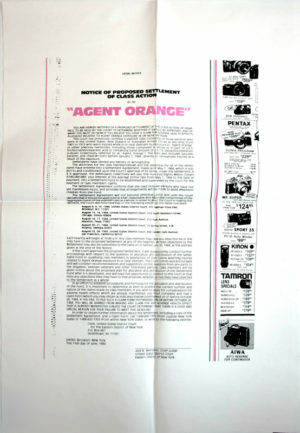 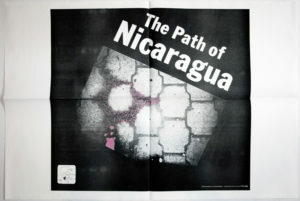 The project survives however through individual posters (each artists was given 50 copies of their own work) and a limited number of complete poster sets that were packaged in a portfolio by Darryl Turner, a designer friend of Hogan’s from Chicago who later became art director for the East Village Eye. 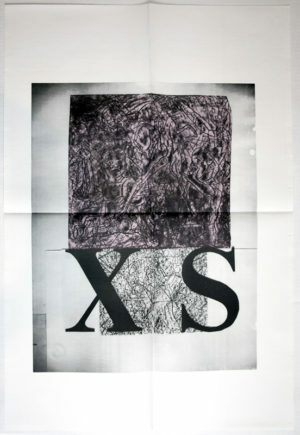 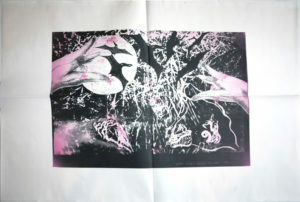 Gallery 98 is offering for sale single copies of each of the posters as well as a complete set.